One year ago, DonorsTrust lost its leader and the liberty movement lost a dear friend. 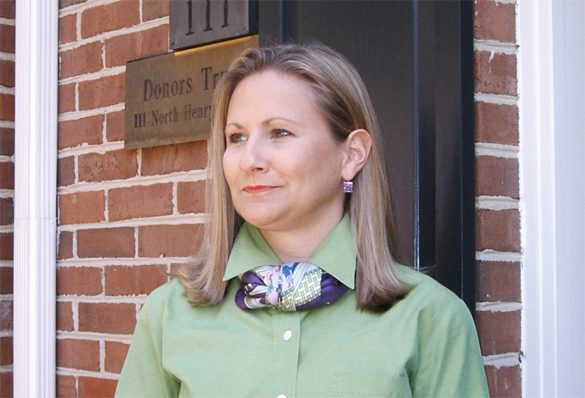 Whitney Ball co-founded DonorsTrust and, as its founding president, built it into the organization it is today. Along the way, she served as a sounding board, mentor, and friend to countless people. DonorsTrust president Lawson Bader sent the letter below to our clients to mark the anniversary. It reminds us of the strength, determination, and joy Whitney brought to institution-building and to all aspects of her life. We miss you, Whitney. Here in the nation’s capital, August is always quiet. Congress has recessed, school hallways remain empty, muggy warm days force respite beyond the Beltway to cooler locales, and morning commutes are (generally) hassle free. At least for several weeks the city reverts to its sleepy Southern roots before September ushers in a rude and often frenzied re-awakening. In short, nothing much happens. But for DonorsTrust, for me, and for everyone who knew her so well, August 17th marks a day when everything changed. For it’s the day, one year ago, when we lost Whitney. Anniversaries are less about celebrations than they are about remembrances. True, they can be both – joyful times of popped corks and parties, smiles and songs. But often, as this day reminds us, they are also a chance to reflect, pause, appreciate, and give thanks. The refrigerator in our office has held a bottle of champagne for so long that no one can recall its origin. We’ll be opening it to toast what Whitney created for us and for those we serve – friends such as you. One year later, the lives of the DonorsTrust staff have brought new homes, a soon to be new baby, and a soon to be empty nest. Sarah, the office canine, is a bit bigger. Visitors now know to come to Diagonal Road, not to the old townhouse on North Henry. Whitney’s smiling image continues to greet us in our office in the form of this wonder sketch by John Kramer of Institute for Justice. In June, we surpassed $1 billion in contributions to our donor-advised accounts. I don’t think Whitney ever could have imagined reaching – let alone even having – that milestone when she and Kim Dennis started building DonorsTrust. More important is the fact that most of that money has been granted to good people and to great groups and causes desperately trying to restore a country to the honor of its Founders. We have a list of challenges, of course, capped by a political climate where the politically powerful (and those seeking power) have become divorced from their ideological moorings. It can be frustrating for those of us who favor limited government, personal responsibility, and free enterprise. Still, DonorsTrust cannot and will not change the core of who we are, or that of our mission, or what we promise our clients we will be. That’s Whitney’s legacy. And, on this day in particular, it is ours, too. I write this from the same office where Whitney sat. I gaze out the same windows she did and I use the same phone she cradled when we (and so many others) conversed about the odds and ends of “life in the Liberty Movement.” With (partial) apologies, I have replaced her assorted wine bottles with bourbons and whiskies, and while I don’t wear funny hats, the staff is terrified I will make the wearing of the kilt an official DonorsTrust dress code. 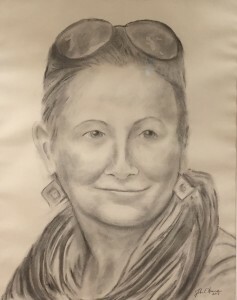 And I confess I often look at her portrait hanging in the conference room and desperately wish she was here to whisper in my ear as I seek to steward her baby. But all is well here in Alexandria. And on this day in particular, I am grateful that you are part of the DonorsTrust family. I hope you will raise a glass and toast Whitney, and be thankful for the same. DonorsTrust was established as a 501(c)(3) public charity to ensure the intent of donors who are dedicated to the ideals of limited government, personal responsibility, and free enterprise.